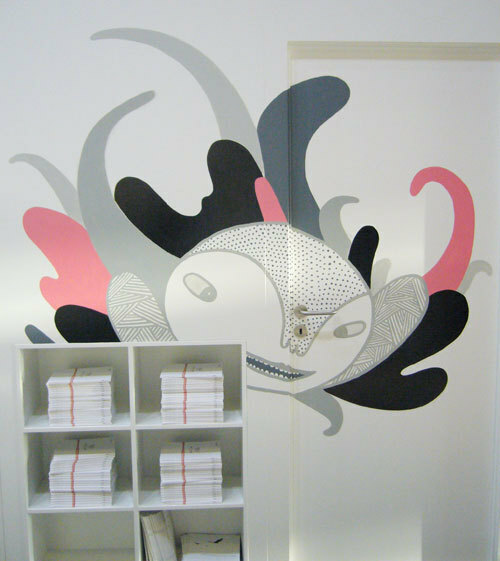 We have updated our website with work from 2007 and 2008 including our textile prints for HÅG (above). Visual identity for HAG. 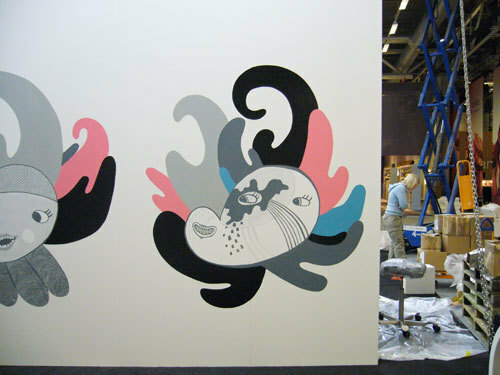 We worked in collaboration with HAG for the past months to prepare their stall for the Stockholm Furniture Fair.We finished the artwork on site by painting on the structure. 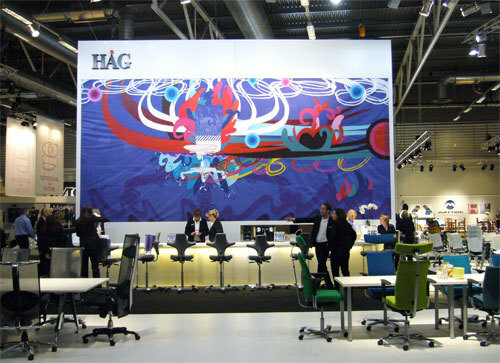 HÀG is participating on numerous fairs to showcase their chairs. 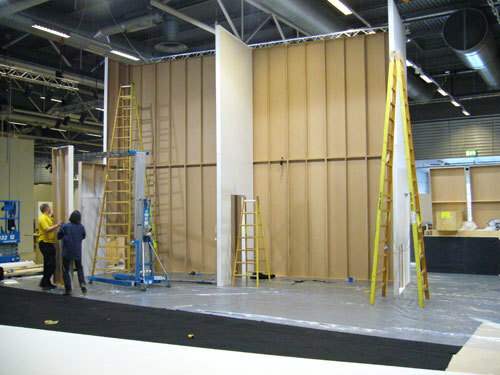 They are present at the Stockholm Furniture Fair every year and are constantly looking to surprise their clients and competitors. They want to be unique and keep originality. We have spent time researching to understand HÀGs business and values. 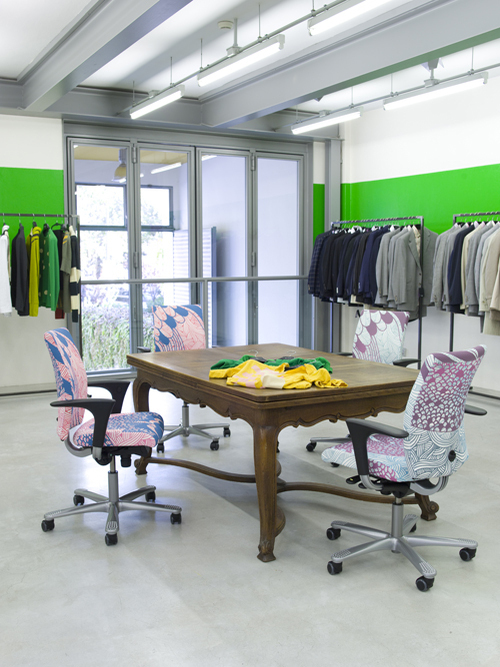 We found inspiration from a Norwegian author Jan Kjœrstad which says the HÀG chair is a good chair to think in. 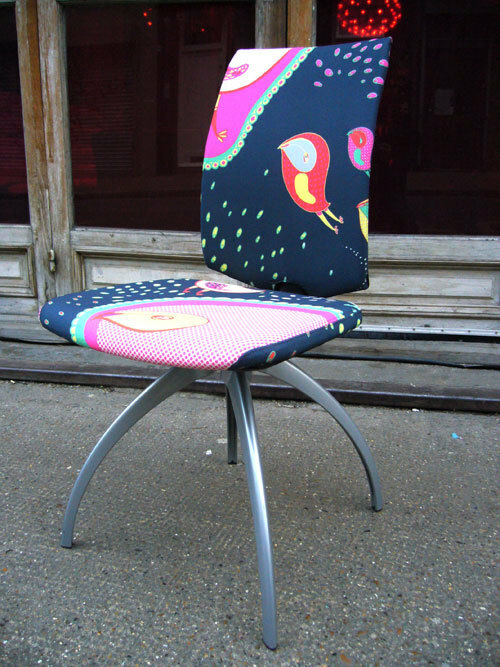 This triggered our thoughts of making organic, free flowing thoughts escaping from the chair. 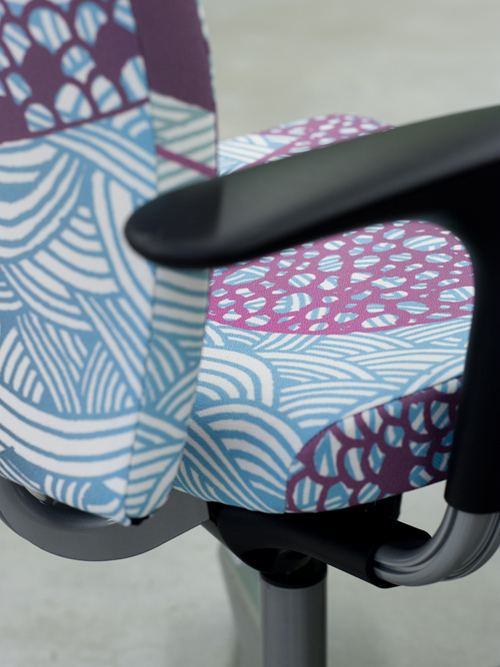 Visualising daydreaming together with the movement of the chair we had captured the essence of HÀGs values: movement. We were also curious on what would happen if we put paint into the five wheels of the chair and moved it around on the floor. 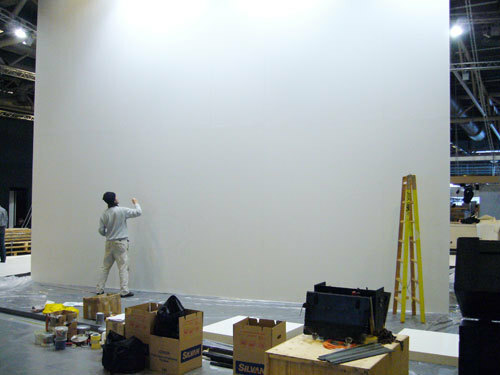 We made a model with five markerpens placed in the same way as the wheels to draw on a big sheet of paper. The tracks of colours shows great movement and playfulness and is an important element in the visuals we created for HÀG.